Have you ever read a book and just thought…“You are perfect! You will be my favorite.” I knew you would understand that feeling! #bookloversunite! Well… I had that exact moment with the book, Crankenstein by Samantha Berger. 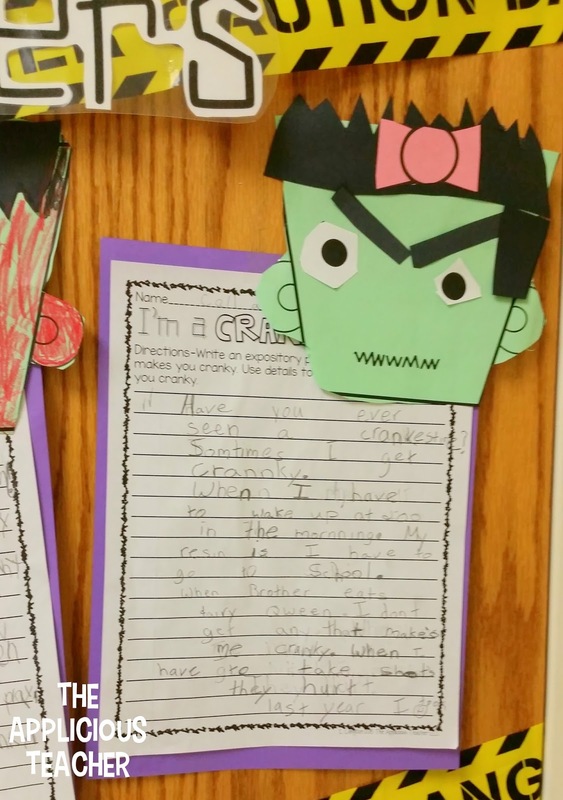 Here are a few Crankenstein activities we completed this past week! You can check out this book on Amazon by clicking here or on the pic! This book is perfect for this time of year and better yet, I knew my kiddos would totally connect with the cranky protagonist. So last week, we used the book as part of our close reading routine during our ELA block. Is the little boy really a monster? I also had the kiddos listen for the part of the book that the author repeats. The kiddos rocked at saying the cranky “MERRRHHHH” sound every few pages. Then, we worked together to answer a couple more comprehension questions about the story. 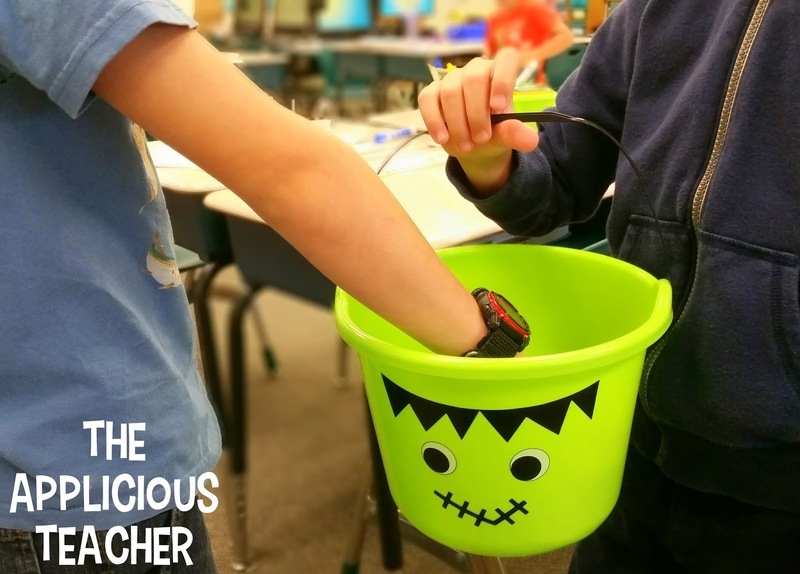 We used the Monster Comprehension cards (from here) and pulled them out from our fun monster candy bucket. I snatched that puppy up from the Target Dollar Spot. Each kiddo had a chance to chose a question card and asked the group for the answer. What kid doesn’t like to be the teacher and ask the questions? Our second read focused more on word choice and shades of meaning. After reading the text a second time, we discussed the word, “Crankenstein” and how it was made up word. We discussed why the author chose to call their character that and how it helped to create a picture in our mind. Then, I introduced the idea of “shades of meaning” in words using this visual. This really helped students understand that authors don’t just “tell” us things… they show us! Then we were ready to practice replacing weak words with a stronger version. With a buddy, the students chose a weak word. They worked together to brainstorm more specific or stronger word options. *Teacher tip* I work at a Title I school and traditionally vocabulary is an area of weakness for my kiddos. To assist students with this activity, I allowed students access to a student Thesaurus and the synonym option in Microsoft Word on the computer. Then each pair presented their weak word and shared the stronger words they found. We also worked to make connections to the text. 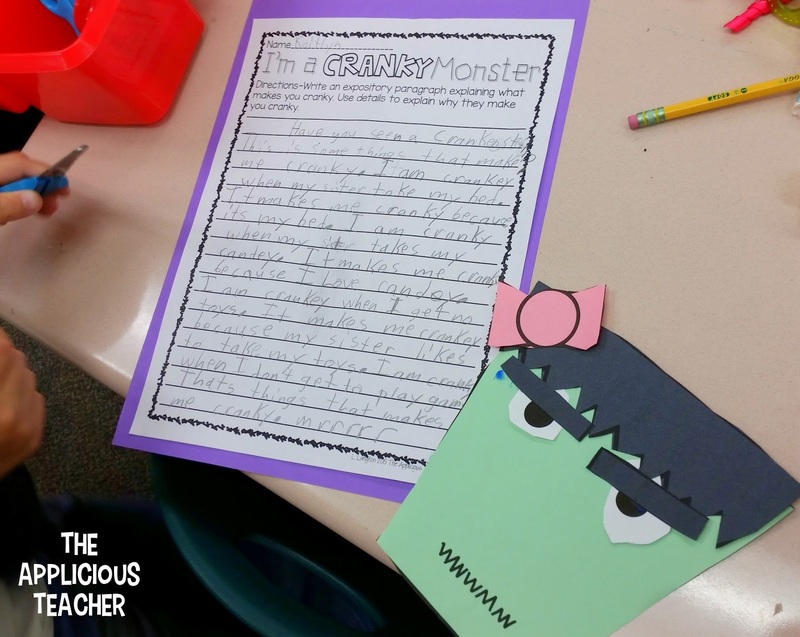 We used this “Cranky Monster” sheet to help us make connections to the story. It was so funny to see what students said that made them cranky! We also used the story to inspire our writing for the week as well. After our third reading of the story, as a class, we reviewed what made the little boy cranky in the story. Then, I had students discuss with their shoulder partner things that make them cranky. We recorded 4 things that made us cranky and worked to understand why those things annoyed us. We later used that sheet as a brainstorm for an expository piece on what makes us cranky! 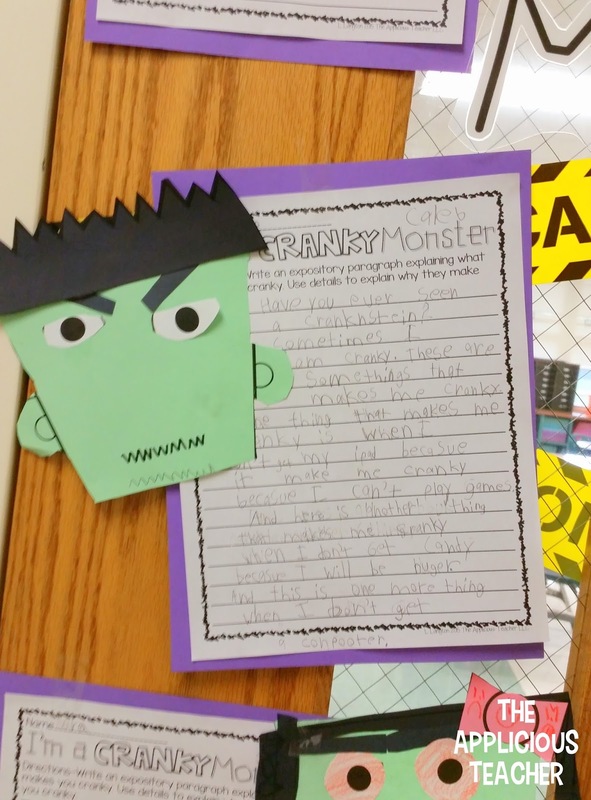 After we finished our expository paragraph, students were ready to make their own cranky monsters! 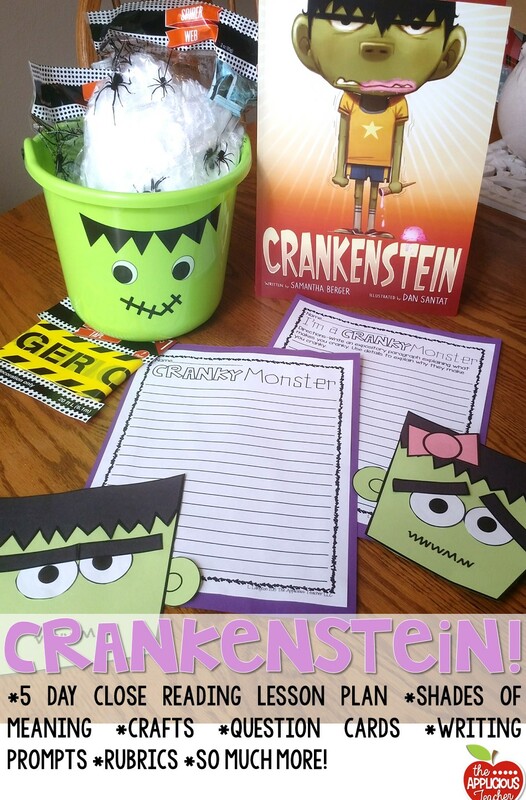 This was seriously one of my favorite crankenstein activities from the week! 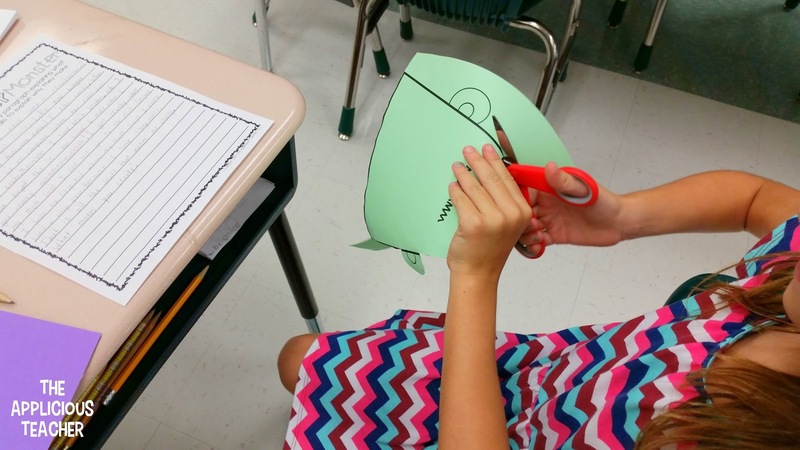 Don’t you love how students work to put their own “flair” on crafts? 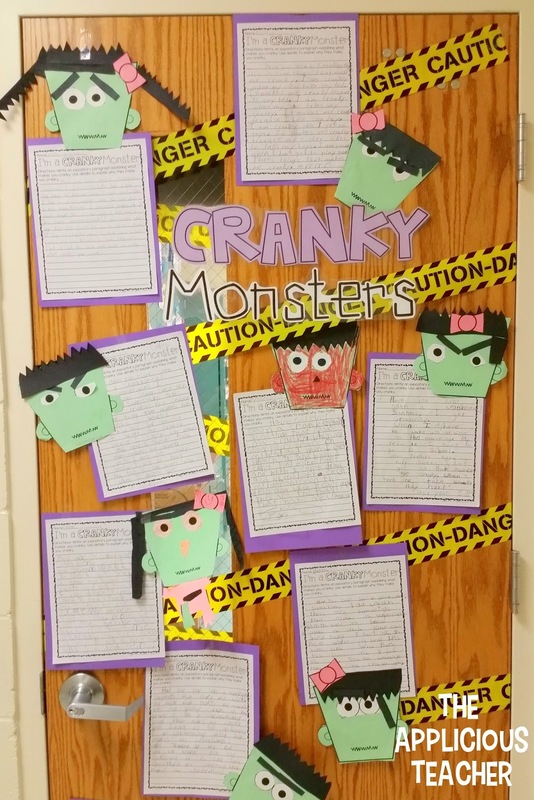 Here’s a peek at a few more of our cranky monsters! 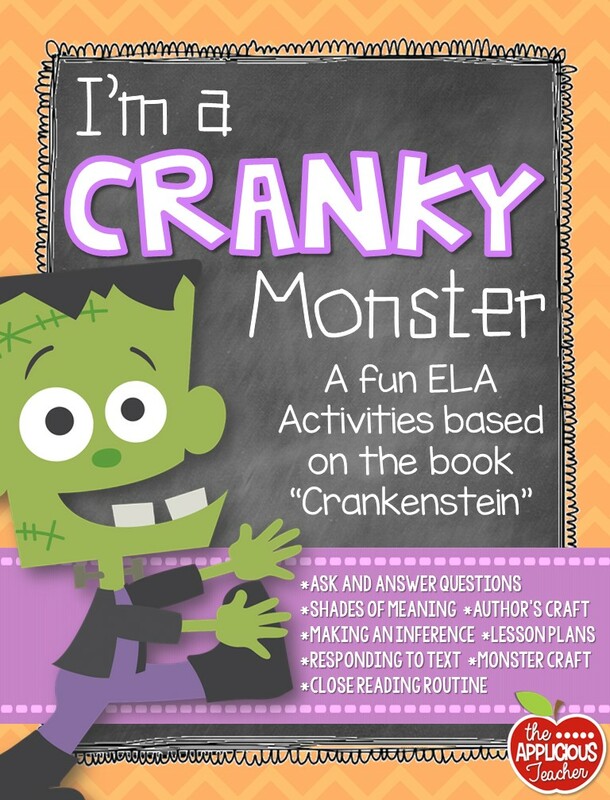 The lettering for “Cranky Monsters” is found in my “I’m a Cranky Monster” pack! There is seriously so much you can do with this book. We also examined illustrations and discussed how it helped us understand the actions in the text. 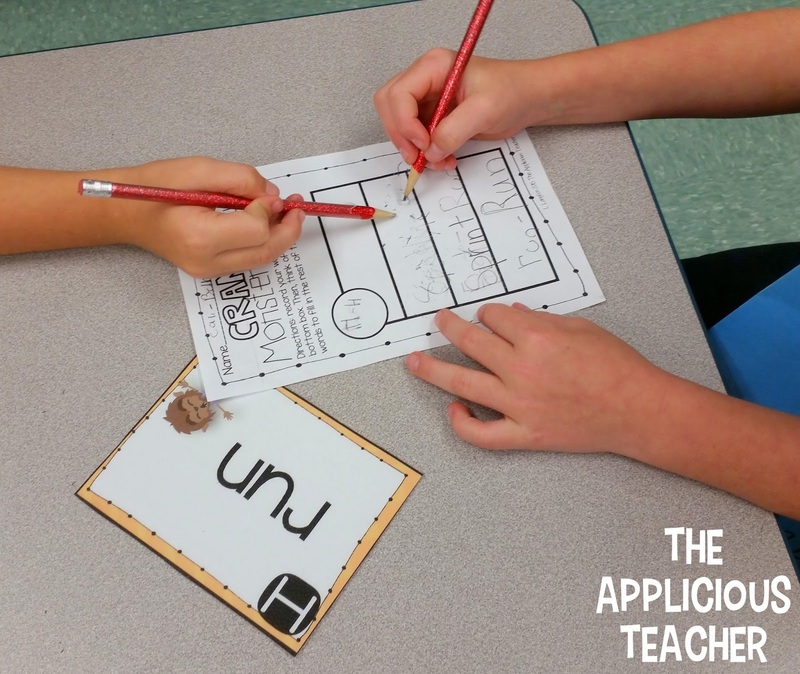 You can see even more activities (including lesson plans!) by checking out this pack in my TpT store. I hope I gave you a few ideas for using this super cute book in your classroom this Halloween season! You Crankenstein activities are awesome!! I bet your students were so engaged!! You could totally grow this up for 4th grade! What grade do you teach? I’m just curious which grade the lesson was applied here.